Koenigsegg CCXR Trevita - limited to just three cars! Koenigsegg CCXR Trevita – limited to just three cars! 1018 hp Koenigsegg CCXR is one of the rarest and fastest supercars in the world. Top speed is 250+ mph (400+ km/h). 0-62 mph (0-100 km/h) comes in just 3.1 seconds. This year Koenigsegg will deliver 10 CCXR’s and all or already spoken for. Now there is a special edition model called CCXR Trevita. 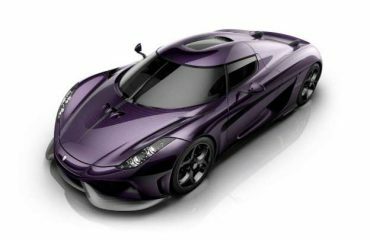 Production will be limited to just three cars making it one of the rarest versions in the Koenigsegg family cars. Trevita is an abbreviation in Swedish and translates into – three whites. By utilising a new and unique method, Koenigsegg has managed to coat fibers with a diamond finish. Result is called Koenigsegg Proprietary Diamond Weave. 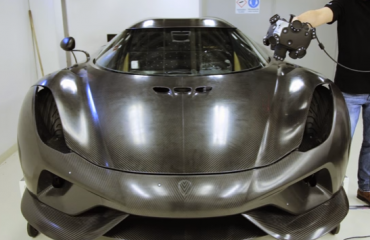 The process was fully developed at Koenigsegg headquarters in Ängelholm Sweden, where the fiber treatment is conducted carefully in small quantities, prior to further processing the prepreg material. When sunlight hits the car, it sparkles like millions of silvery white diamonds infused inside the visible carbon fiber weave bodywork. All three cars are fully equipped with Koenigsegg Shimmering Diamond Weave bodywork, double carbon wing, paddle-shift, inconell exhaust system, carbon ceramic brakes with ABS, hydraulic lifting system, infotainment system, tire monitoring system, chrono instrument cluster and airbags. So how much does it cost? We asked Koenigsegg and the price is 1,500,000 Euros ($2,200,000) plus all the taxes and delivery charges. Don’t expect to see it next week at the Frankfurt Motor Show. Koenigsegg only exhibits at the Geneva Motor Show(next time at the Saab stand). For comparison regular CCXR price starts at 870,000 Euros ($1,200,000).